Whenever I travel abroad, I try to avoid flights which have a long layover at the airport. That’s because it can be boring and sitting for long hours at the lounge can wreak havoc on your back. If just a few hours can be difficult, imagine the plight of a man who has had to live for 150 continuous days at the airport. 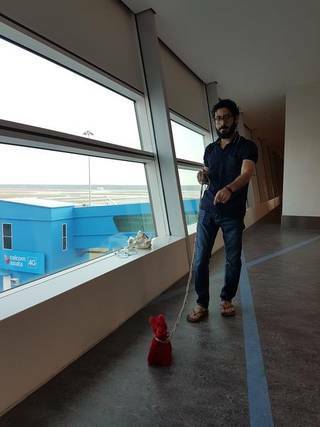 This is the remarkable story of a 37-year-old Syrian man, Hassan Al Kontar, who has been stuck at the arrival lounge of Kuala Lumpur International Airport Terminal 2. This terminal is meant for low-cost airlines and its facilities are bare-bones and functional, almost resembling the sombre ambience of a hospital. This is also the place where passengers spend the least amount of time. As millions of passengers zip through hurriedly to catch their connecting flights, Hassan is stuck with nowhere to go. But at least he now has Miss Crimson, a red stuffed dog for company. “I was gifted Miss Crimson by some friends who bought it at a festival in Malaysia. I walk her around the terminal,” he jokes. On my way back from the Philippines to Chennai recently, I transited through Terminal 2. That’s when I saw a familiar bearded face. I have been following Hassan Kontar’s Facebook account and I instantly recognised him. I approached him, introduced myself and asked if he had a few minutes for a conversation. He jokingly replied he was in no rush and had all the time in the world. We sat down on the empty chairs and engaged in a long conversation. “I live The Terminal literally every day,” he laughs uproariously. Al Kontar escaped the civil war in Syria in 2011. He says he went to the United Arab Emirates for work. But after his work visa expired, he was to be deported back to his country. He protested vehemently, pleading that he would be arrested and possibly killed as soon as he landed in Syria for evading compulsory military service. The Emirati authorities eventually sent him to Malaysia, one of the few countries that issue visa-on-arrival for Syrians. 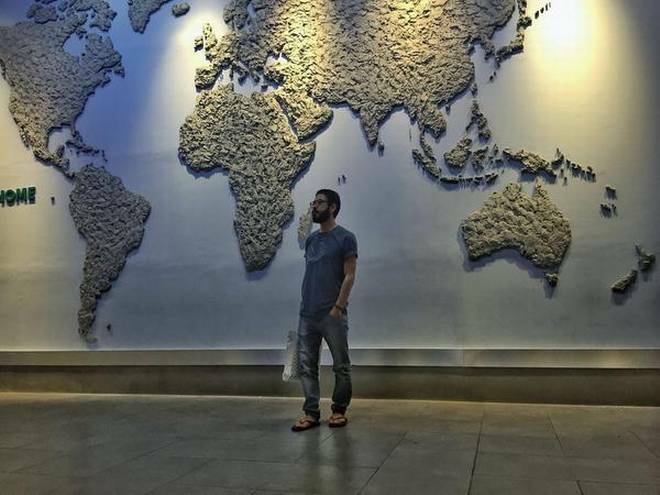 After his three-month Malaysian visa expired, he went to Cambodia, where he was denied entry. He also pooled all his savings to book a flight to Ecuador, one of only three countries in the world that issues visas for Syrians. Sadly, the airlines did not even let him aboard the flight and thus he lost all his savings. 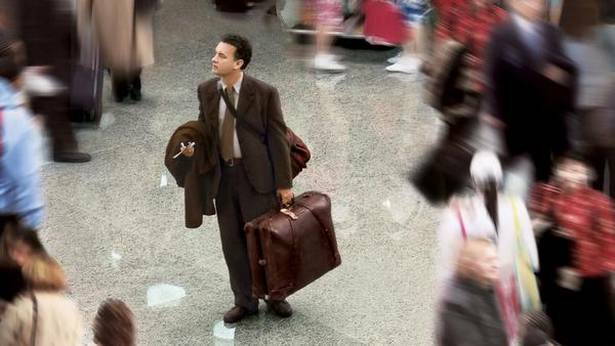 Now, he is stuck in the airport with nowhere to go. No country wants him. I ask him what could possibly be the solution. He shrugs his shoulders helplessly. His only hope is for the Canadian government to offer him asylum, but that has been in limbo too for the last couple of months. Hassan currently lives on airline meals offered by AirAsia. With no food outlets in the transit lounge, he depends on the charity of airport workers for even a cup of coffee. A McDonald’s burger or a bar of chocolate is a luxury he can ill afford. “Some of the airline staff and the cleaning staff have been more than helpful and caring. I’ve survived on the kindness of strangers,” he says with robust optimism. He sleeps under an escalator, away from the bustle of the passengers. Someone offered him a foldable thin mattress. With no shower, he uses the bathroom at midnight to give himself a towel bath. He is not allowed to wash clothes. However, he says a few kind airport workers take his clothes home and bring them back washed.